A-girl and I recently got a chance to try out Victus Study Skills System system. We got the Teacher's Edition for me and the Student Workbook for A-girl. But, wait....even if you aren't a homeschooler....keep reading, you are going to want to hear about this one! The general premise of this course is that all students are expected to study, but sometimes those skills aren't just naturally developed or figured out on their own. Sometimes just trying harder actually isn't enough to do well. Actually, Susan Ison, President of Victus Study Skills System said that she started a tutoring association back in 1977 and found that lost of times, students didn't actually need academic help, but instead, needed to know how to study. Victus Study Skills teaches some actual skills and methods and follows the premise that it will work best when this set of skills becomes a way of life. This course can be used with your kids from grades 5 through 12. Honestly, I got some good ideas for myself too. For high schoolers, this course could be completed in about a week. For younger kids, they recommend taking longer to work through the material. The creators of the study system say that each lesson, for older students, should take about 30 minutes. Ours took longer than this, which I will tell you about in a little bit. For me, I don't ever remember taking a course in how to study and I have (almost) always done well in school. I have developed habits and skills over the years. It seemed to just come naturally to me. I have worked out systems to memorize things when I needed to (usually using silly acronym type phrases). I have usually been able to figure out what sorts of things would be on the tests and highlighted them or paid particular attention to them while I was reading. Keep reading to discover my light bulb moment about my college days in chemistry class that I will share with you later.....and the reason for the "almost" in parentheses above. I thought that everyone worked that same way. I thought anyone with half a brain could/should/would figure out those tips on studying. I was wrong. I would actually say that maybe 1 of my 6 children seems to have figured out some helpful study skills on their own....or, they actually listened to my nagging advice over the years.....not sure which.....but, really, 1 out of 6, isn't that great, though, is it? I had begun to worry....especially for A-girl as she is in 8th grade and her schedule is filling up with harder and harder classes and her workload is getting heavier and heavier.....and, honestly, I was seeing her struggle more and more. I could see her starting to fall apart. I could see her struggling. I could see her wanting to do well....trying harder to do well....and falling short. Then getting frustrated and depressed and thinking she wasn't smart. I didn't want her feeling stupid. I didn't want her feeling like she wasn't smart enough. I didn't want her to just give up when things didn't just magically fall into place. I wanted her to have academic success....no matter where or what type of schooling she has, in the future. You see, on that last point, A-girl and Rainman and I are considering some different schooling options for A-girl next year. One of those options is attending the school that D-man has attended for the last year. It is a college prep high school nearby. I posted questions to my on-line homeschooling friends about how to tell when your child was ready for "high school". The answers varied....and didn't give me a lot of clarity. Then this product review came up and I thought....hmmm.....maybe this is that missing piece of the puzzle that will help me "test" her readiness and teach her some long term life skills all at once. Lessons 1 and 2 correspond with the "Where Am I Now?" section of the student book. Lesson 3 corresponds with "Where Do I Want To Be?" in the student book and the remainder of the lessons go along with the "How Do I Get There?" section. Before I talk details, I need to give you my opinion on something. In many courses that I try, you don't really need the teacher's book. In many cases, there is enough information given in the student book or you can figure out what needs to be done by just taking a look. That is not the case for Victus Study Skills. In my opinion, you need the teacher book. There are just so many little details and approaches that you can take that you would really miss out on without the teacher's book. So, plan to get a copy of the teacher's edition and a student workbook for each of your students. First of all, you need to know that there is much to be gained by working through this course alongside your student....which means there is a little planning/preparation needed by the teacher. Most of the time, this just meant reading through things before your class. It really wasn't a big deal for me to read through ahead of time. The pros of this course outweigh any inconvenience that a little extra class prep time took. The lessons started out interesting for both A-girl and I as we delved into pinpointing what her current study habits were and how she best learned. We have looked at these things before with all the kids as I periodically try to change things up to help match their individual styles. I had thought that A-girl was primarily an auditory learner...so, in the past, I have read aloud to her whenever possible. But, through Victus, we found that she is actually scored a little higher in her visual category of learning styles. Her auditory scores were high too....just not as high as visual......which is probably why her mind would wander sometimes when I was reading aloud to her....so she didn't retain whatever I was reading to her. She needed to be visually stimulated too for it to really stick. That one detail right there helped she and I to look at things differently in our approach to what has been working well and what hasn't been working well in her schooling. As we moved deeper and deeper into the lessons, I asked A-girl what she thought of Victus Study Skills, knowing full well that she wasn't exactly thrilled when I told her she and I were going to do this. In A-girl's own words, "I think this is great for people like me, who aren't very organized. I think this is something that I will use my whole life, not just for school. I am learning things about how I naturally want to do things, and how some of those things work really well for me and how I need to change other things to do better in school." I was sort of surprised to hear her be honest about her natural lack of organization skills. It is true. She is not naturally organized....or neat and tidy. I was just surprised. Earlier in this post I mentioned that A-girl and I took a little longer than the creators recommendations. We took a little over a week to complete this book For us, we spent quite a bit of time going back over her assignments and tweaking her work...and some of it took longer because it required deep thought. One of the things that we spent quite a bit of time tweaking and revising were A-girls goals.....because she was too broad and general, in her first attempt. For example, she originally put down a goal that was something like this: "Doing more math so she is ready for next year". But, Victus Study Skills encourages setting real, attainable and measurable goals. "Doing more math" doesn't really say anything. So, she revised it to say that she would "finish her Algebra I course in the next 6 weeks"....and then made an action plan with how many lessons that meant she had to complete each week to stay on target. ( By the way, that is 3 lessons a day.) Poor girl....but, the beauty of this is....she came up with that goal...AND the action plan on her own. Honestly, I didn't even give her any ideas....other than helping her revise this goal to be measurable and specific. So her goal setting and action plan steps took her a while when you factored in her revision time and doing the background work/research to figure out how each goal could be measurable. I really enjoyed working through all the lessons in the "How Do I Get There?" section. Especially digging into the PQRST and note taking section of the course. Partly because I feel like that is one of the most tangibly useful parts of the course for her long term education goals. The great thing was, that I think she really got it. We did the practice note taking from a reading section in the book and then I tested her on the passage. She didn't get one question wrong! Not one. That is a big deal for her as she has always struggled with retention after reading passages of information. So let me tell you a bit about my light bulb moment as I was helping A-girl work through Victus Study Skills from my college days. I was a nursing major. I had plans to be a nurse from very early on. I was going to be an R.N., until I hit my college chemistry class. I can't tell you exactly what went wrong, but I remember sinking....and sinking fast....and not really knowing what to do because that had never happened to me before. I had always been a straight A student. Like I said, I was always, in my opinion, a good studier....I knew what stuff would be on tests and had cute little ways of making myself remember things. For some reason, my tried and true ways did not work in this class....and I had nothing else in my bag of tricks. Since this had never really happened to me before....well, except for 9th grade Algebra with Mr. Anlauf.....I was too afraid to ask for help. That had backfired with Mr. Anlauf anyway. I really just remember sitting in class sort of bewildered and trying not to let anyone around me know. So, I just assumed that because I didn't "get" this class and got a C that I was a failure and obviously should NOT continue on and become an R.N. I got a job, in a medical office, with vacation time and benefits, but no hands on patient care. I still wish I had stuck it out. I still feel a sense of belonging when I am in a medical/hospital setting....like I should be there. I really wish I had stuck it out. I really do....especially when my friends, who continued their training, assured me that they don't use anything from that chemistry class in their day to day job! My light bulb moment was that the Victus Study Skills System gives you more things in your bag of tricks. I am sure that if I had used this system in high school, that I wouldn't have just done well on tests, AND, I could have aced this class in college. I really think that Victus Study Skills would have helped me break down the class into smaller bite sized pieces and I would have swallowed my pride and found a study-buddy that was smarter than me to help me through the rough patches.....or, (gulp) talk to the professor that seemed like a really nice lady. Both A-girl and I are really happy that we worked through Victus Study Skills together. She feels much better prepared for her college prep courses next year. I feel confident that she has the underlying skills necessary to take even the hardest class and make it manageable. I feel confident that she has figured out she needs to have real and specific goals that she can measure, not just New Year's Resolutions that will be abandoned and forgotten year after year. We are both pretty excited about what this one little course has done for her future! 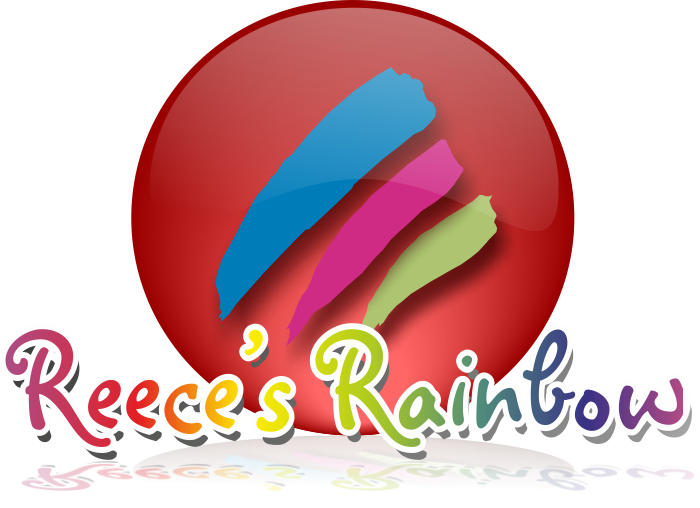 This is definitely one of those products that is NOT just for homeschoolers! It isn't even just for students. 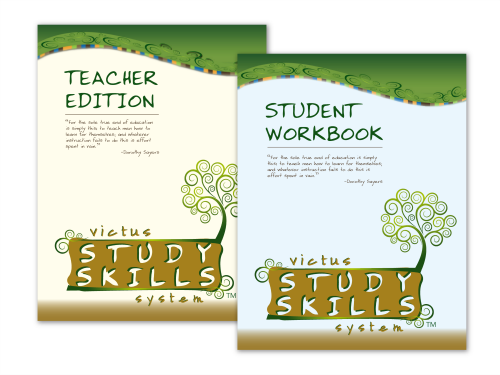 If you want to try and see what Victus Study Skills can do to help you or your child, the Teacher's edition is available for $40 and the student workbook is $20. 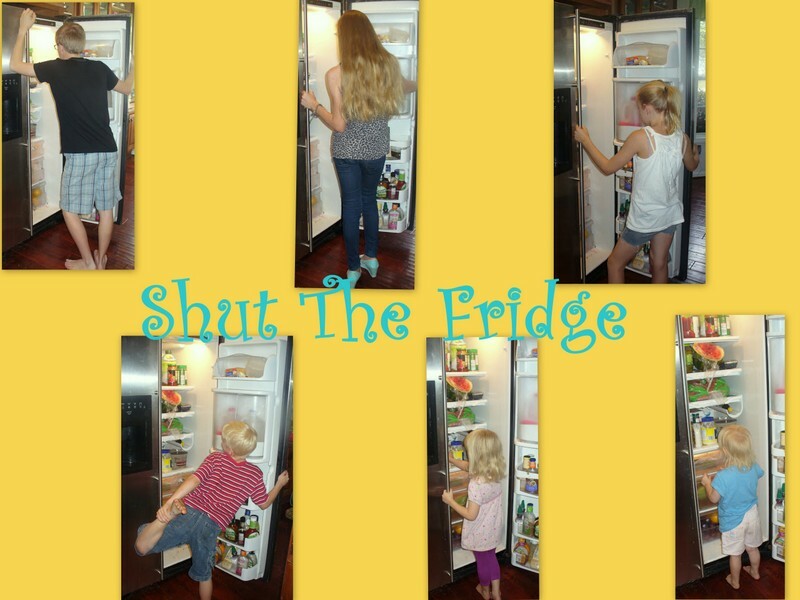 This is a $20 investment that I will be making with the rest of my kids. Check out what others on the TOS Review Crew thought about their experiences with Victus Study Skills.